It is estimated that around 36 million people worldwide have succumbed to AIDS-related complications since the disease was first discovered at the beginning of the 1980s; further estimates state that 35.3 million people are currently living with the virus. HIV or Human Immunodeficiency Virus Infection is a devastating illness for which, up to now, there is no permanent cure. Tongues Untied is an exhibition that grew out of the collaboration between the Museum of Contemporary Art in Los Angeles (MOCA) and its curatorial assistant, Rebecca Matalon at the Pacific Design Center, opening on June 6th until September 13th 2015. 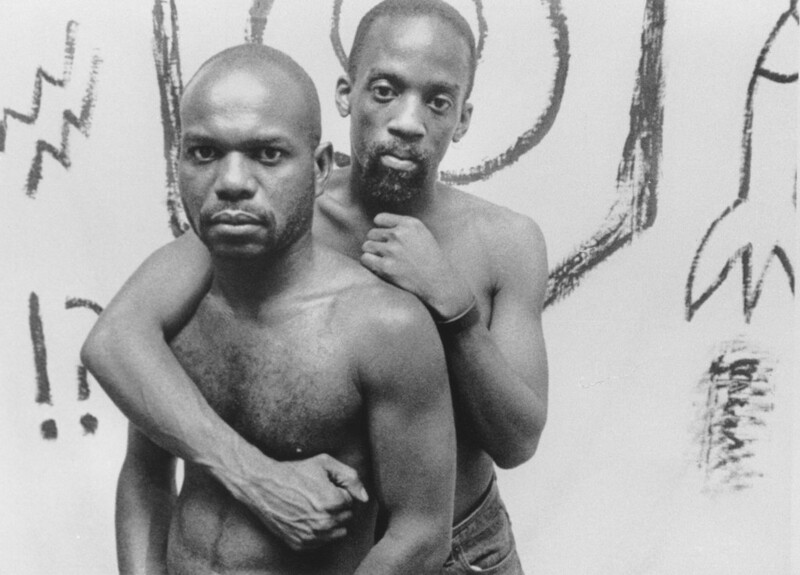 The title of the exhibition is taken from the groundbreaking documentary film, Tongues Untied by filmmaker, poet, gay activist and artist Marlon Riggs. In 1989, inspired by his own experience as a gay black man during the peak of the AIDS crisis, he created a work of art exploring themes of sexuality, homophobia, discrimination and the profound ignorance about HIV that leads to ostracism. As the film title suggests, the exhibition gives voice to an unheard ethnic and sexual minority. 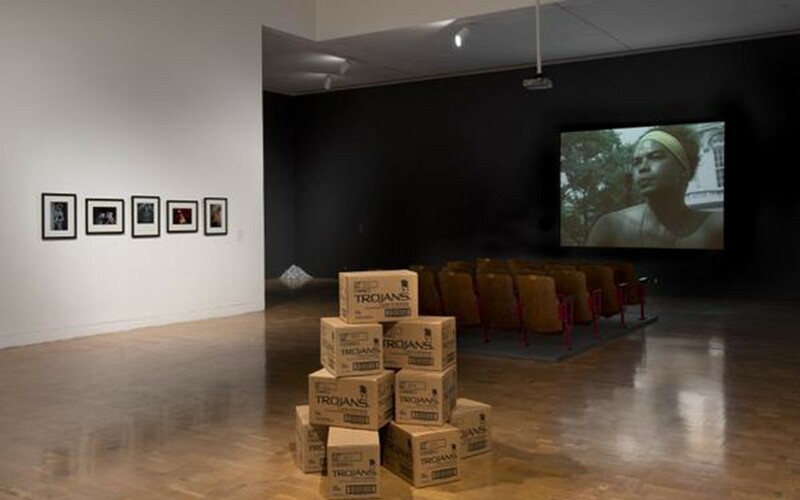 The display includes works from MOCA’s permanent collection by gay artists such as Marlon Riggs, Félix González-Torres, and John Boskovich, as well as photographs by Nan Goldin and an installation by Adam Rolston. Most of the artists represented, including Riggs, have died of AIDS-related complications. When first released in 1991, the movie Tongues Untied created a nationwide scandal attracting the scathing remark of Republican presidential candidate, Pat Buchanan, who defined it as “pornographic and blasphemous art”. Riggs bravely responded by writing on the New York Times that … “the vilest form of obscenity these days is in our nation’s leadership”. A notable example of conceptual art presented in the exhibition is “Untitled” (A Corner of Baci), made by Cuban artist Félix González-Torres in 1990. He piles Italian-made chocolates, Baci, in a corner of the room and invites visitors to help themselves, then replenishes the pile as it depletes. The active participation of the public in taking a chocolate suggests the idea of loss followed by regeneration. Torres’ other creation is “Untitled”(March 5th) #2, where two light bulbs and their cords are tightly connected: it expresses an allegory of the artist’s deep connection to his lover, Ross Laycock, who tragically passed away due to AIDS in 1991. Félix González-Torres himself died in 1996 from the same disease. A heartbreaking and intense exhibition, Tongues Untied focuses on one of the worst crises that the world has known, and is still facing. This selection of works reveals the loss, despair, social stigma, isolation and discrimination of AIDS. At the same time, it brings to light the profound sensitivity of artists who were ahead of their time.